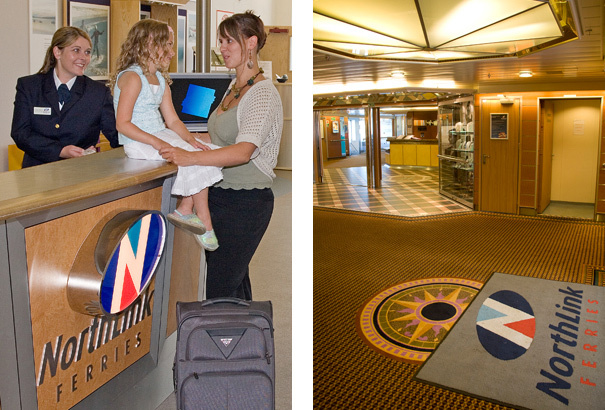 It’s not every day that you get asked to design an identity that’s going to feature on the side of a ferry! So I was chuffed when the opportunity arose to brand the newly-formed NorthLink Ferries. 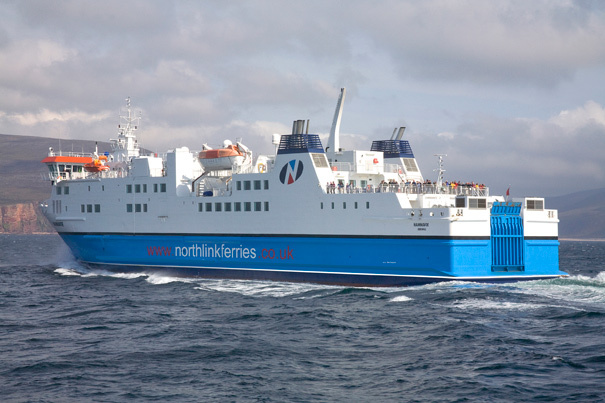 The company ferry passengers daily north and south, between Aberdeen and the Orkneys and Shetlands. My design solution reflects this north/south in the two triangles, or ships’ bows, pointing up and downwards, in a sea of white, between two blue land masses. Simples.